I have never enjoyed what I’ve always known to be ‘maraschino cherries’ – the bright red, sickeningly sweet cherries that tend to adorn perfectly good milkshakes and sundaes. However, when I started ordering cocktails as an adult and received these new dark red cherries, I decided to give them a try, and have looked forward to getting them in cocktails ever since. These are the real maraschino cherries, and there is quite a difference. 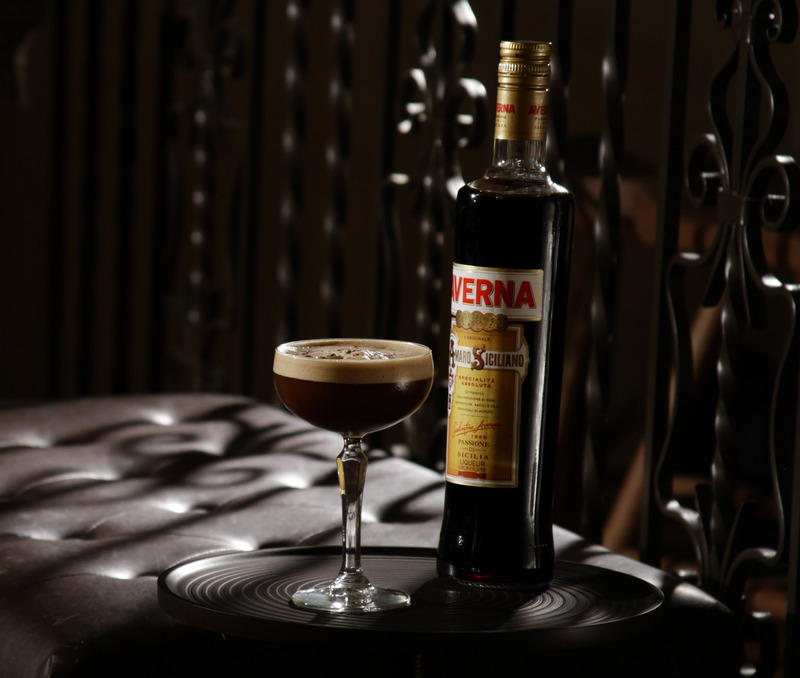 They’re easy to make at home, and are the ideal compliment to cocktails such as a Manhattan or Old Fashioned, and a delicious boozy treat on their own. These cherries are made with fresh fruit, contain no HFCS, and are flavored with just a few simple ingredients. 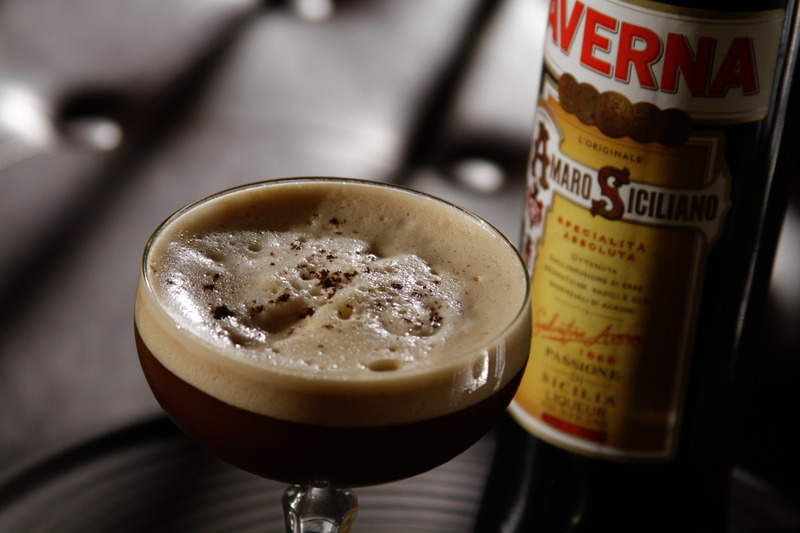 The most important is Luxardo Maraschino liqueur, from which they get their name. Ingredients: 1 1/2 pounds cherries, 1 cup Luxardo, 1/2 cup water, 1/2 cup sugar, 1/2 tsp bourbon vanilla extract, 1 cinnamon stick, 1/4 tsp ground nutmeg, 2 tbsp lemon juice. 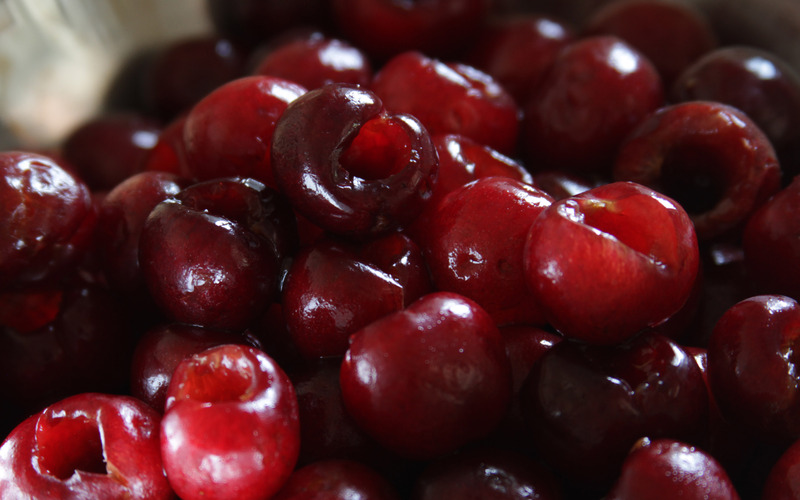 Remove stems and pits from all of the cherries and set aside. In a saucepan combine water, sugar, vanilla extract, cinnamon, nutmeg, and lemon juice. Bring mixture to a boil, then add cherries, and reduce to a simmer. 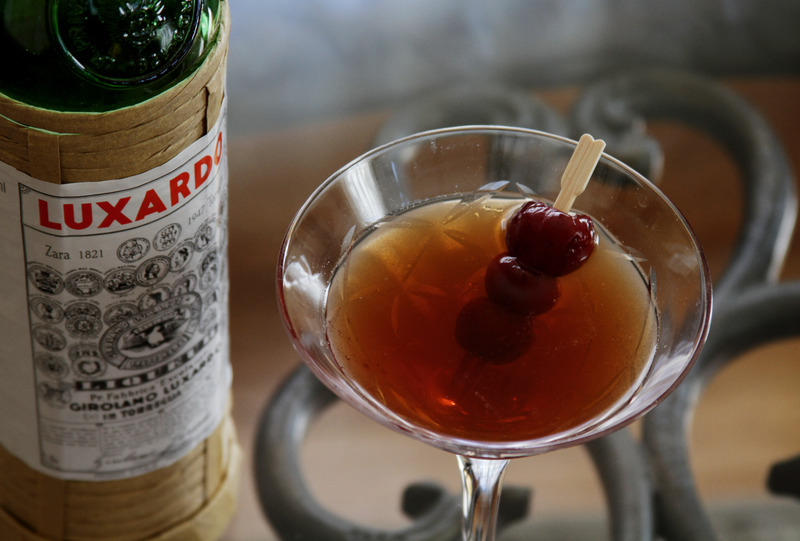 Let cherries simmer for about 5 minutes, turn off heat, add Luxardo, and let cool. 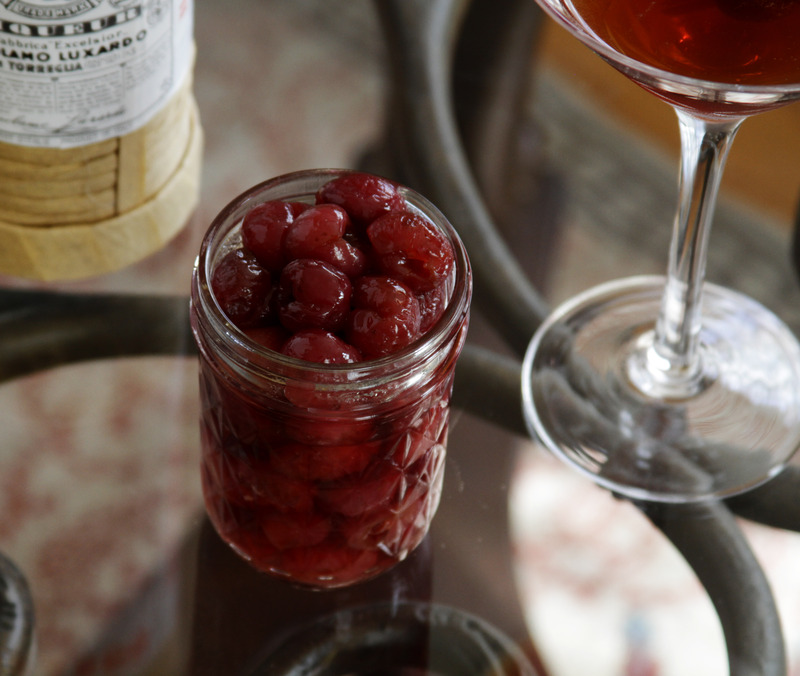 Add cherries to jars, and refrigerate. 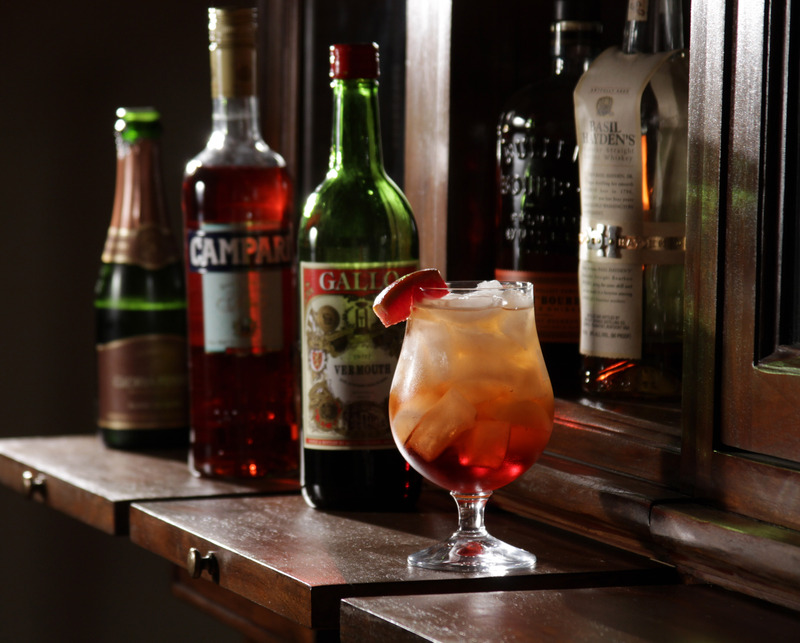 When I think of spring cocktails, floral notes and hints of sweetness come to mind. Here are three of my favorite springtime cocktails that are great for sipping on warm days outdoors while soaking in the new season. 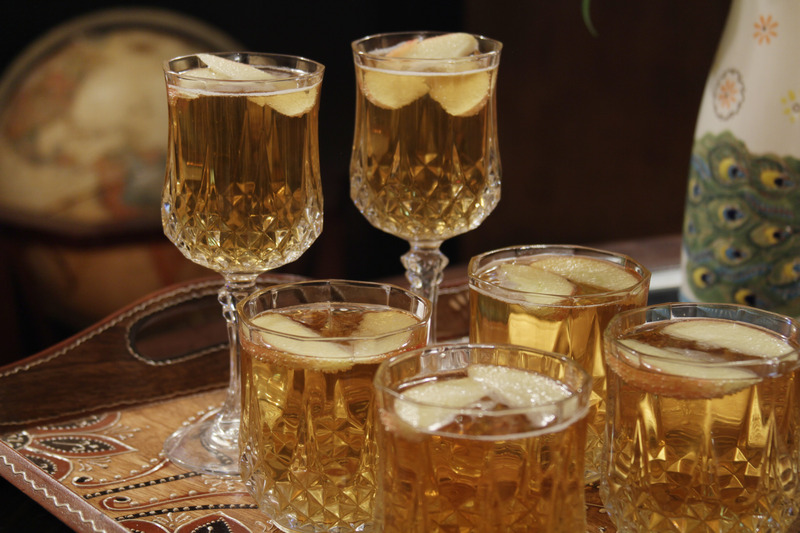 Lillet Blanc Cocktail: This cocktail is a rather recent discovery that has quickly become a staple in our home. 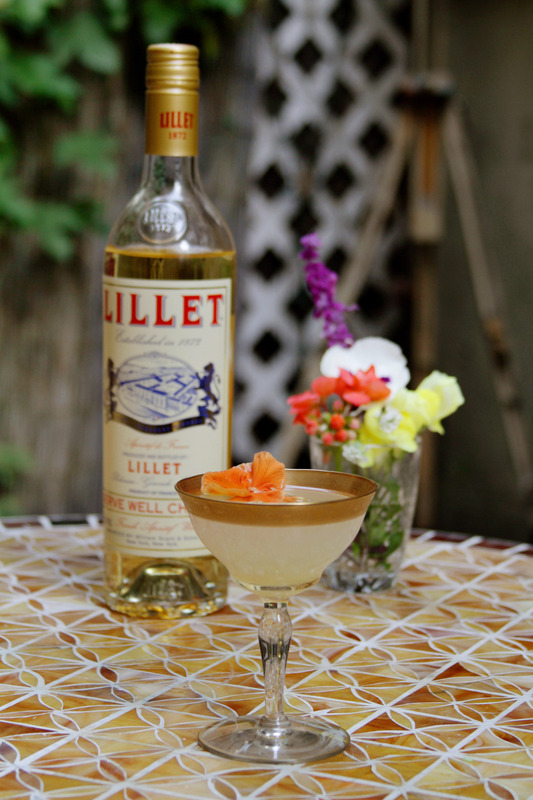 Lillet Blanc combined with grapefruit make this drink soft and subtly sweet. Adding a flower to the drink not only gives it a pretty garnish, but the scent of the flower is present as you drink. Ingredients: 2 oz Lillet Blanc, 2 oz fresh squeezed ruby red grapefruit juice, 1 oz Hendrick’s gin, 2 dashes simple syrup. Add all ingredients to a chilled shaker, shake well then add to saucer with flower for garnish. French 75: We first tried this take on a French 75 on our trip to Austin a couple of years ago. 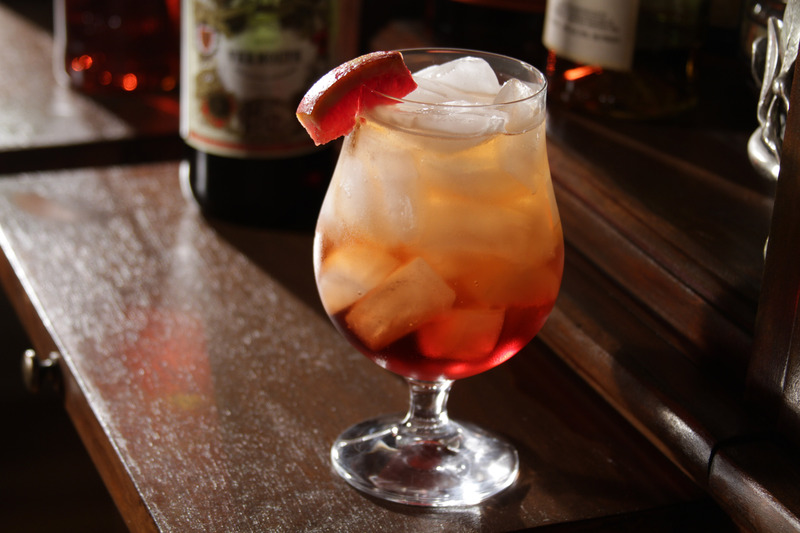 The muddled strawberries give the drink an extra touch of sweetness and a punch of spring color. We enjoyed it so much that it has become one of our all time favorite cocktails, and was one of our two specialty cocktails on our wedding day. 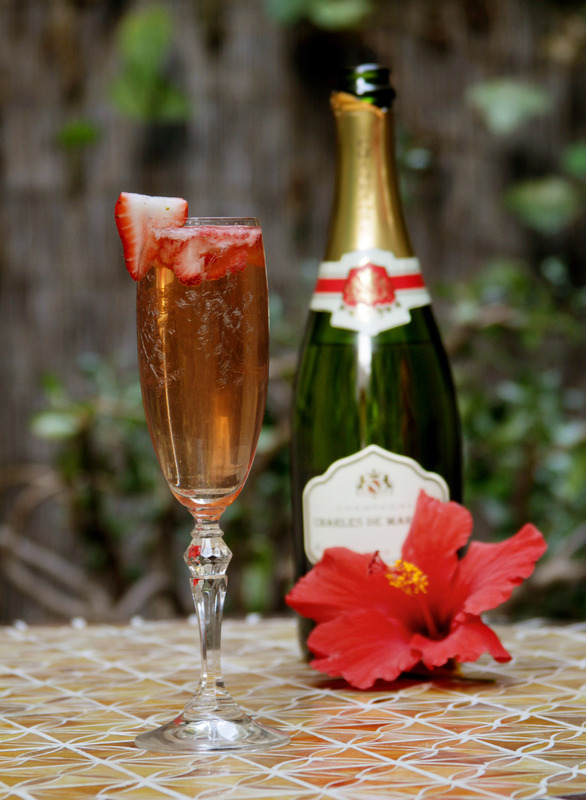 Ingredients: 2 oz gin (I like to use Hendrick’s gin for the added rose petal flavor), 2 dashes simple syrup, 4 oz Brut champagne, 1 tbsp muddled strawberries, squirt of lemon juice. 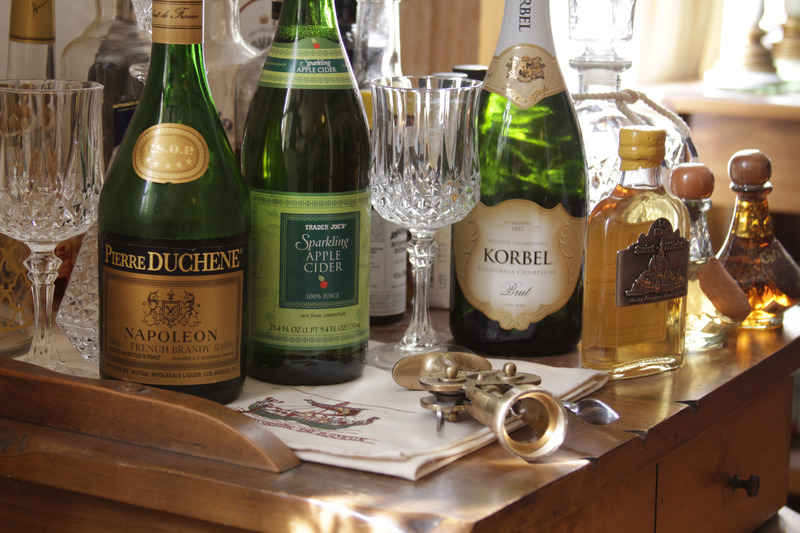 Add all ingredients (except champagne) to shaker, add to flute and top with champagne. 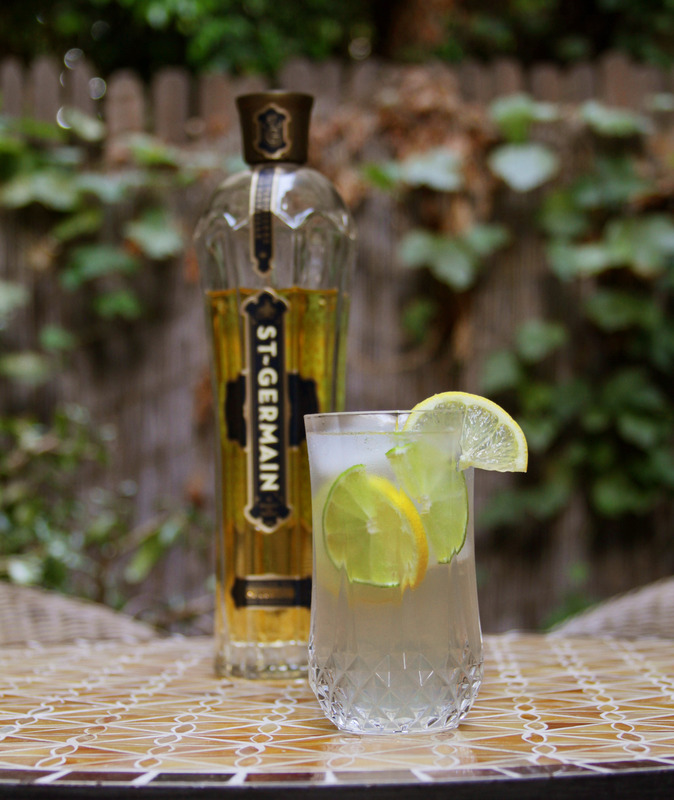 St. Germain Sparkling Limeade: I associate limeade more with summertime rather than spring, but adding the St. Germain (an elderflower liqueur) makes this cocktail feel light and flowery, making it a perfectly crisp spring cocktail. Ingredients: 2 oz Hendrick’s gin, 1 oz St. Germain, 6 oz sparkling limeade, lemon & lime slices for garnish. Add gin, St. Germain, and lemon wedges to a glass filled with ice and top with sparkling limeade. My affinity for hosting dinner parties is a true sign that I am my mother’s daughter. I love every piece, from creating a menu for our guests to setting a pleasant table, and of course the conversations of good company. 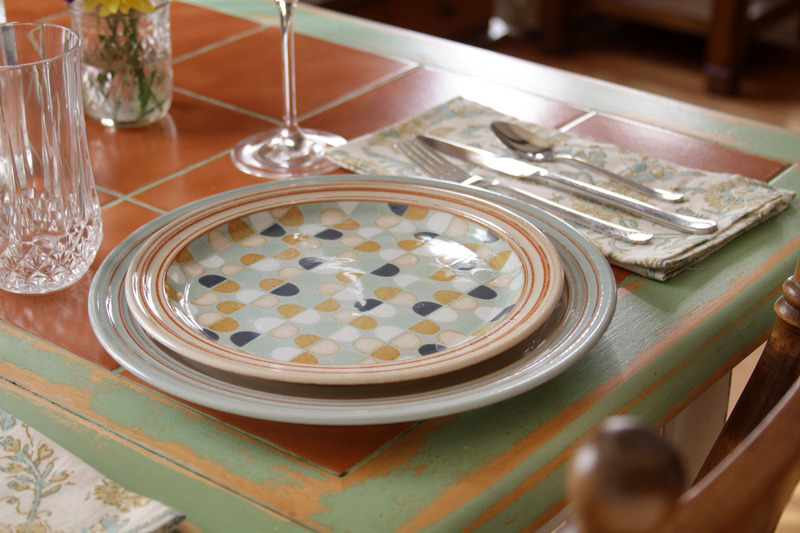 Even though we are hosting in the comforts of our own home, we take dinner parties as an opportunity to create a lovely presentation by setting a complete table. 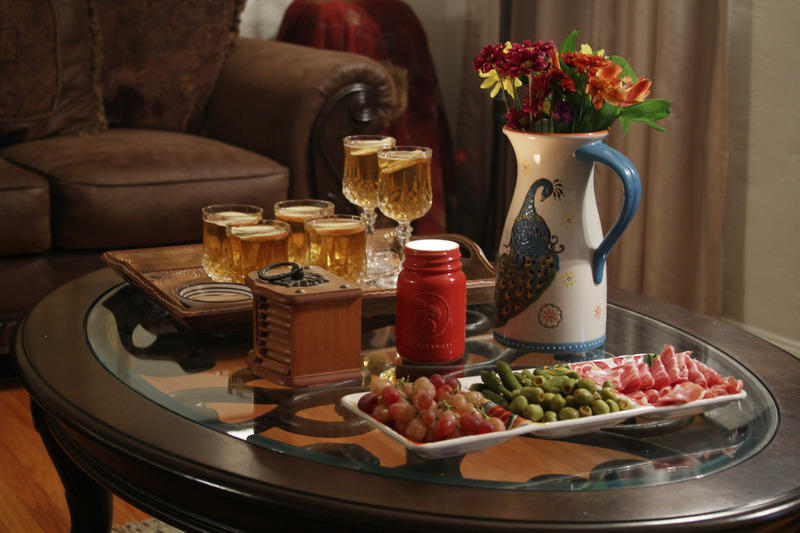 Low placed flower arrangements add pretty details while being unobtrusive to the table and conversation. 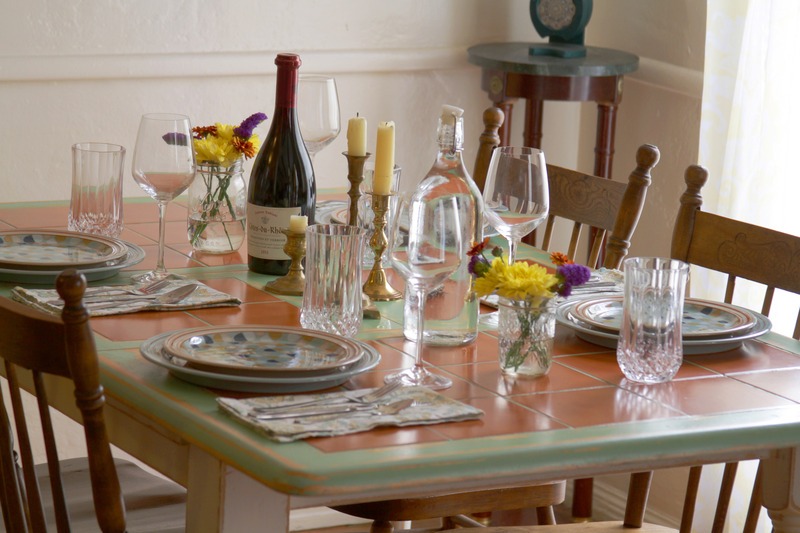 Placing water and wine glasses ensures our guests don’t need to stand up and search for glasses, and of course coordinated plates and napkins to pull everything together. 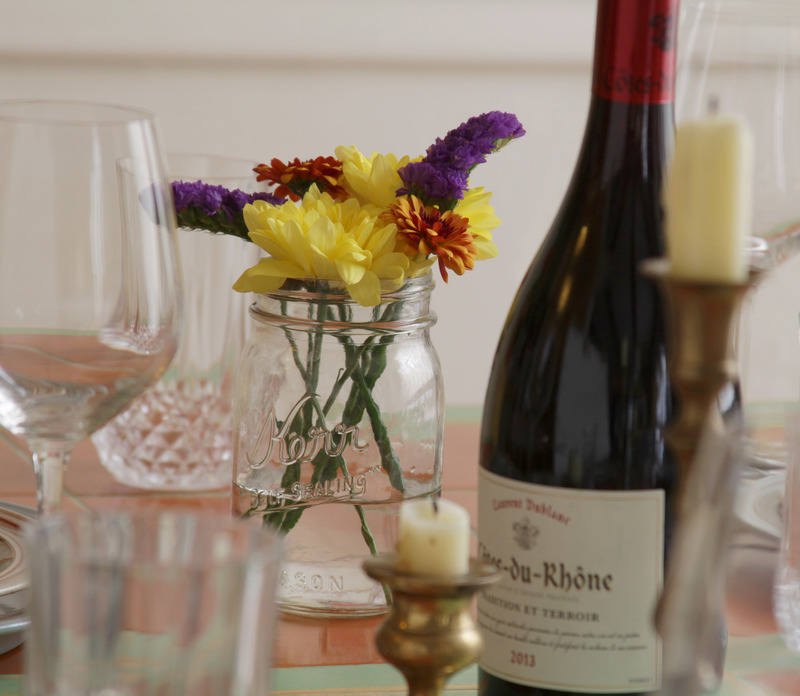 When throwing a dinner party we want our guests to feel at ease. Having some aperitif cocktails and hors d’oeuvres ready for them as soon as they walk in sets a relaxed and welcoming mood. 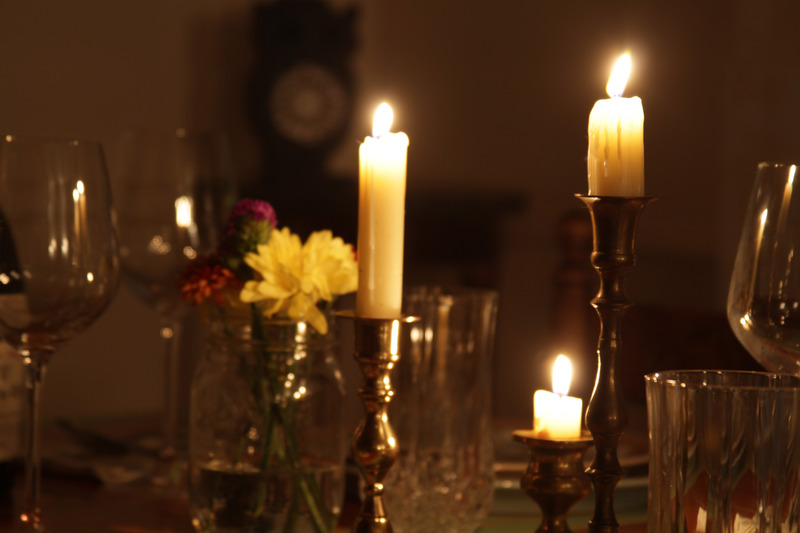 I also like to place unscented candles at the table to create a warm and inviting atmosphere. The unscented candles don’t interfere with the smells of the food, which is essential for guests to fully enjoy their curated meals. The intimacy of hosting a dinner with a small group of close friends is the highlight of any dinner party. Welcoming our friends to our home and having everyone enjoy a good meal and great conversation makes all of the cooking and prep work worth every step.